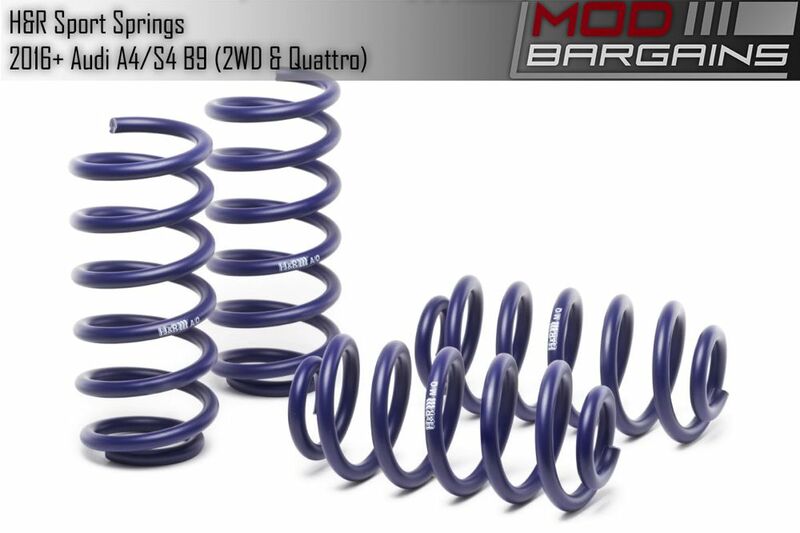 H&R Sport springs offer an excellent balance of simi-aggressive drop with OEM+ road comfort. Sport Springs will lower you Audi A4/S4 (B9) either 0.8" with the factory sport suspension, or a full 1.6" with standard suspension. H&R Sport Springs are their most popular line of lowering springs since they are ideal for both street and occasional track use. Fully ISO9001 and T.U.V. approved, you can drive with confidence that these springs will last the life-time of your car with out fear of damage or improper wear. And just for extra assurance, H&R Springs offer a Lifetime Warranty for defects or faults.